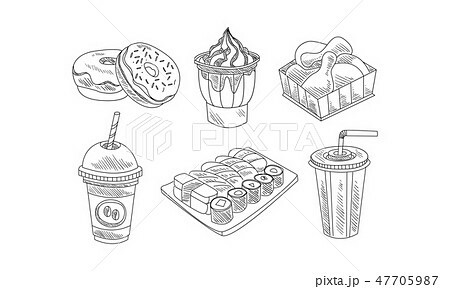 Set of fast food and beverages icons in sketch style. Sweet donuts and ice-cream, chicken legs and sushi, coffee and milk cocktail. Hand drawn elements for cafe menu. Isolated vector illustrations.